Boston is the capital and largest city of the US state of Massachusetts, the largest city in the New England region of the US, and also one of the oldest cities in the country. Founded in 1630, it was a key site in the American Revolution and played host to significant events that culminated in independence from British rule. Its historic significance and cultural vibrancy make Boston a tourist hotspot, but students also flock to the city because of its outstanding reputation in higher education. 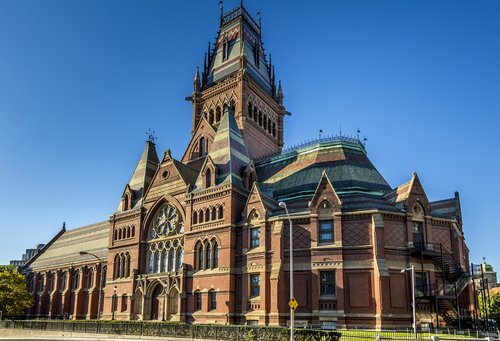 Boasting the world’s top two universities within its greater area, and five more in the US top 100, Boston is certainly a strong contender among prospective cities for ambitious students. Although not all the schools listed below are in the city center (notably MIT and Harvard are in the neighboring city of Cambridge within Greater Boston), they are all part of the shared environment of academic vigor that is such a key strand of Boston’s identity. Located on 168 acres of land in Cambridge, facing Boston across the Charles River, the Massachusetts Institute of Technology (MIT) is a huge asset to the culture of Boston, and vice versa. Ranked the number one institution in the world according to the 2013/14 QS World University Rankings®, MIT has a strong focus on science and technology subjects, in which it has a strong reputation for innovation and leadership. Despite its name and main focus areas, MIT in fact covers a broad range of subjects. Its Sloan School of Management is internationally renowned, while more than half of undergraduates take at least some arts courses. 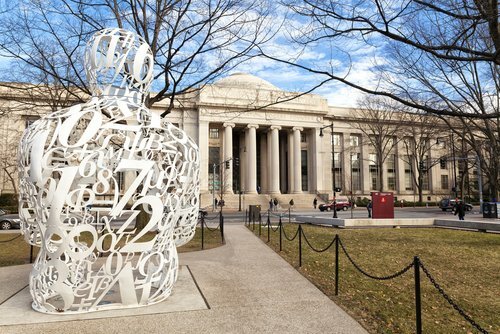 MIT’s enrolment totals just over 11,000 students, of which 6,600 are postgraduates – but admission is highly competitive, with less than 10% of freshman applications accepted each year. Over 3,000 undergraduates live on campus. Harvard, ranked 2nd in the world and the world-leading Ivy League institution, is the alma mater of 62 living billionaires, and many more of the world’s leading thinkers and innovators across many different fields. Founded in 1636, Harvard University is the oldest institute of higher learning in the US and is currently home to 6,700 undergraduates and 14,500 graduate and professional students. Despite tuition fees being among the highest on the globe, over 60% of Harvard University undergraduates receive financial aid. An impressive 97% of all Harvard undergraduate students choose to live on campus for the full duration of their four years, meaning the Harvard experience is a very immersive one. Like MIT, Harvard is located in Cambridge, but close enough for students to pop across the river to explore the culture and nightlife of Boston if they do choose to leave campus! Ranked 79= in the world and 26th in the US, Boston University is a private research university located in west Boston on the banks of the Charles River. It boasts an alumnus of seven Nobel Laureates, including Martin Luther King Jr. and Elie Wiesel, along with 35 Pulitzer Prize winners and six Academy Award winners. There are currently almost 16,000 undergraduates and just over 14,000 postgraduate students enrolled at the university on a choice of over 250 programs. Many of Boston University’s nearby student residences offer some of the best views of the city’s skyline and are just a short walk from the center of Boston’s vibrant social scene. Another well known institution, Tufts University has a campus in Somerville, approximately five miles northwest of Boston, and just minutes away from the popular Davis Square which is a perfect for shoppers, foodies and concert goers and is home to Boston’s Museum of Bad Art. There’s also a second Tufts campus, more centrally located, in downtown Boston’s Chinatown. The Chinatown campus is home to the health sciences programs and is nestled firmly within the city’s theater, finance and commercial districts and within walking distance of Boston Public Garden where the famous ‘swan boats’ can be found. Ranked 204th in the world and 52nd in the US, Tufts has a community of almost 11,000, split fairly evenly between undergraduate and postgraduate students. Founded less than 70 years ago, Brandeis University is one of the youngest private research institutions in the US. The school is located nine miles west of Boston on 235 suburban acres beside the Charles River. Although outside of Boston city proper, the university has a shuttle bus which makes over 30 trips a week to ‘Beantown’ itself, making it easy for students to stay involved in urban culture. Ranked 324th in the world and home to the Rose Art Museum, Brandeis has a particularly strong liberal arts focus and is the only non-sectarian Jewish-sponsored institution in the country. The school has a current enrolment of 3,504 undergraduates. Ranked 331= in the world and 74th in the US, Boston College is a private Jesuit research institution situated in Chestnut Hill, just south-west of Boston city, best known for its collegiate gothic landscaping, Chestnut Hill Reservoir and a leg of the Boston marathon route. Boston College’s suburban campus stretches across 130 acres, offering an inclusive community culture. The term AHANA, used to refer to African-American, Hispanic, Asian and Native American students instead of the term ‘minority students’, was coined by Boston College in 1979. Transport into Boston city is nearby, regular and integral to the BC lifestyle. The college has received a 75% percent increase in undergraduate applications in the past 10 years and currently enrolls 9,100 undergraduates and 4,700 graduate and professional students. An experiential research institution, Northeastern University is focused on global and contemporary world issues. Ranked 397= in the world and 84th in the US, Northeastern is one of few universities in Boston to have its main campus within the city center, just off to the south-west. The school offers a wide-range of courses and initiatives including the IDEA Venture Accelerator which provides support for aspiring innovators and entrepreneurs offering gap funding and links to investors. There are currently 12,913 undergraduates and 7,855 postgraduate students. Located in an area beside the Museum of Fine Arts and Symphony Hall, NU is very much an urban university, but is also surrounded by trees and grassed areas. It also has a strong focus on community; since 2006 students have been involved in completing over one million hours of community service. Image credits: Alamy; Daderot; US News; Brandeis.edu; BC.edu; Greater Boston Convention & Visitors Bureau.